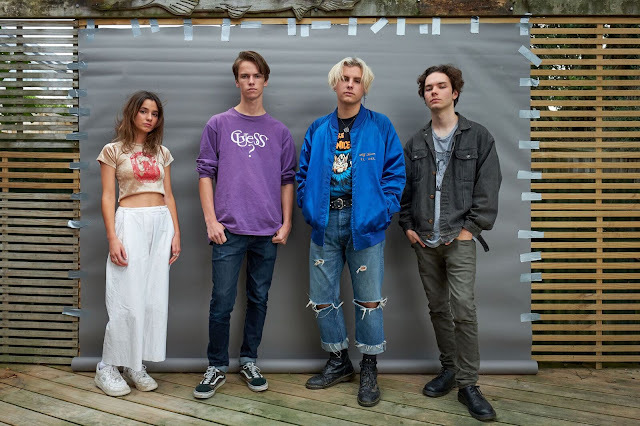 Auckland, New Zealand four-piece Daffodils return today with their stunning new single, A Leo Underwater. With touches of 80's pop and dramatic guitar solos, the band's latest effort is a heavenly mix of glittered melodies and driving energy, both culminating in to a gorgeous cathartic release. Perfect for those low winter-sun evenings, A Leo Underwater adds another impressive string to their bow. "'It's about being disconnected," explains frontman Theo. "The feeling of drifting away from the things that are important to you. It’s about the end of summer, and the way things change.” Take a listen for yourselves below.